A simple panel loader with modern updates, a padded laptop sleeve and a zippered front pocket. The main compartment holds a rain shell, lunch, your books and a tablet. A zippered pocket on the front panel holds your boarding pass and wallet. Made from 100% recycled polyester. All fabrics have a DWR (durable water repellent) finish. 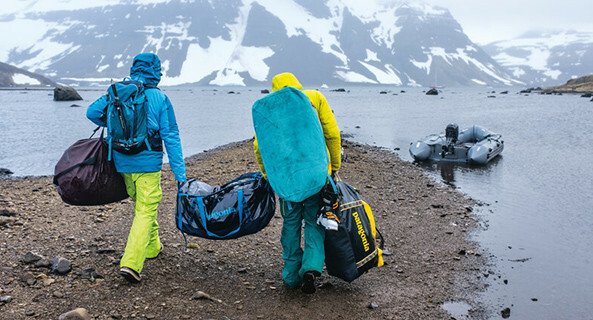 This bag is a tribute to Patagonia's past, which was specialized in mountain outfits and backpacks.